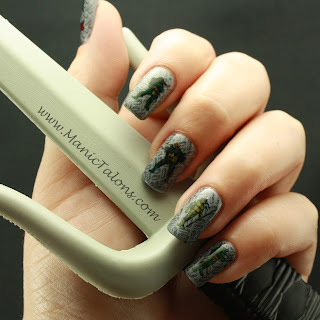 I won the Red Carpet Manicure Nail Art Sweepstakes! You can only image how excited I was when I got an email last week from Julie at Red Carpet Manicure telling me I won the Red Carpet Manicure Nail Art Sweepstakes from August. Red Carpet Manicure is a brand that is under-represented in my gel polish collection simply because my town doesn't have an Ulta yet (one is opening here soon...and I've been stalking the location weekly). I only have a dozen RCMs in my collection, and most of those are limited edition colors that friends have been kind enough to pick up for me. 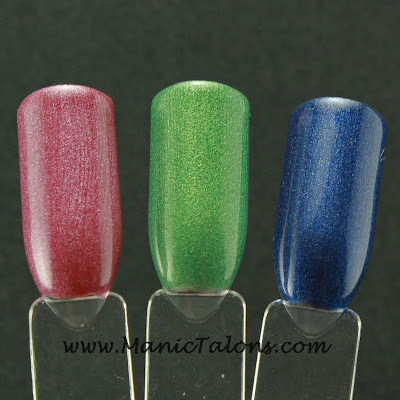 But enough rambling and onto the prize: three of Red Carpet Manicure's most popular colors. The colors I received are Ooo La Liscious, Paparazzied, and Glitz & Glamorous. I don't know why I never asked someone to pick these up for me. It's easy to see why they are the most popular. Naturally, I just had to swatch them for you right away. 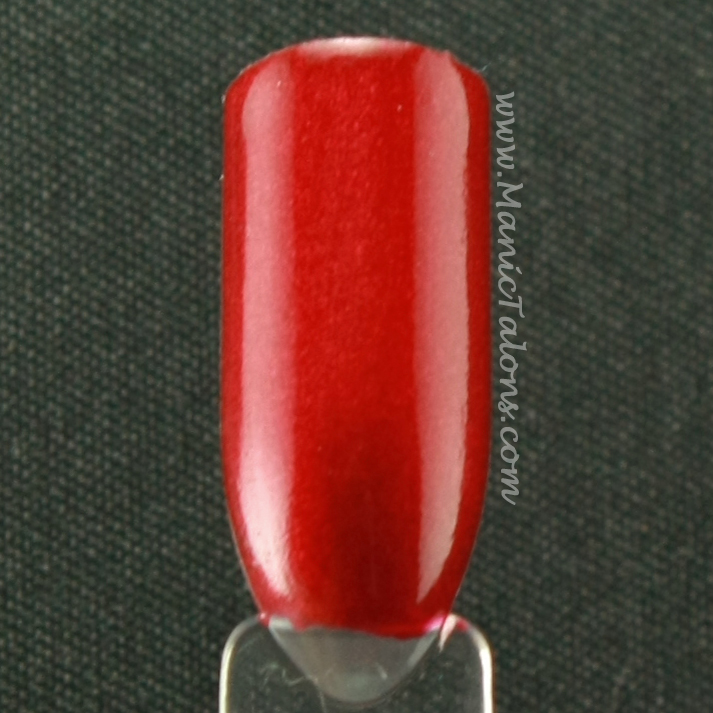 First up, Ooh La Liscious is a gorgeous orange leaning coral in a cream finish. This is one that screams both summer and fall to me. Definitely a versatile coral. I plan to use it in my Halloween manicure this year. I spent 15 minutes holding my hand up to my computer screen trying to determine if this picture is color accurate. I think it is, but it's so hard to tell with orange corals. My eyes start playing tricks on me. 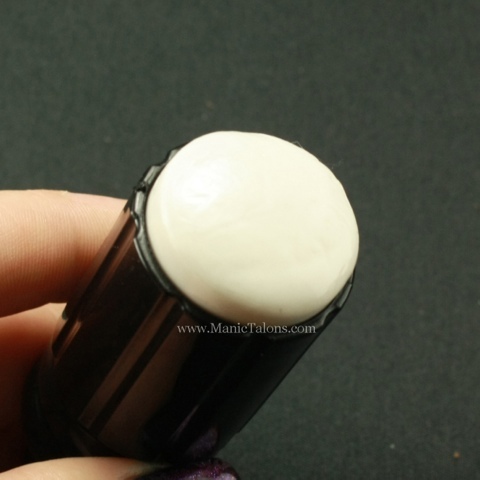 Paparazzied is a glossy, medium pink cream. I would call it a classic pink. While it isn't a color I will personally wear often, it is definitely one you need in your collection if you're a pink person. And finally my favorite of the three. Glitz & Glamorous is a deep red shimmer. I don't even know what to say about this one other than wow. The red shimmer in a red base makes it appear to glow from within. The above picture does NOT do this color justice. Light box pictures always fail to capture the brilliance of polishes with shimmer. Below is a picture of my swatch stick held at an angle so that the light reflects off the shimmer. See that internal glow? Just a quick off topic post. 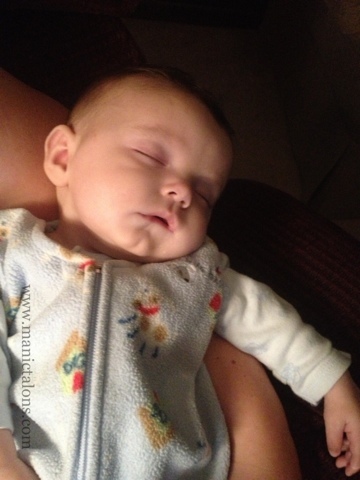 If you happen to notice a typo in one of my posts, this is why: I blog one handed so as not to disturb my Editor-in-Chief (who often falls asleep on the job). You know that polish that you opened the bottle and fell in love with the color inside, only to be horribly disappointed once you put it on? That polish that is absolutely gorgeous until you realize that it just isn't opaque? I have quite a few like that. Heart breakers. For example, Ink Sultry Sailor. These pictures don't do it justice. I tried but just couldn't capture the shimmer. 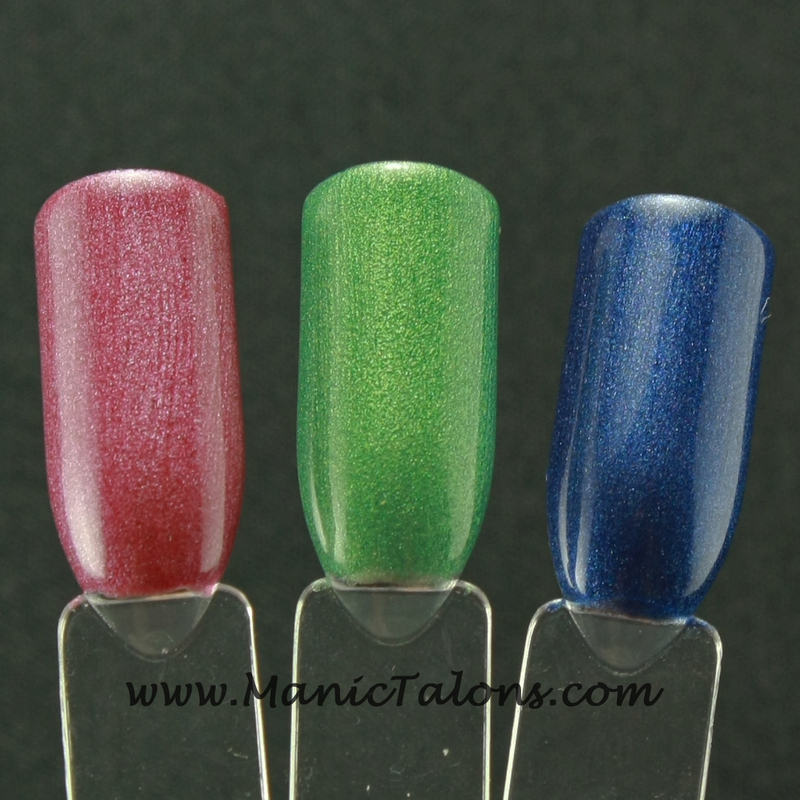 Sultry Sailor is a light navy jelly base with a very dense green and gold shimmer. This is three coats. See the visible nail line? I hate that! Rather than toss this one into a box of disappointments, there is a simple solution. Wear Undies! Layer your disappointingly sheer but gorgeous colors over a cream in a matching color. One coat of Ink Blue Ice is all it takes to make Sultry Sailor lovable once again. This is one coat of Blue Ice and two coats of Sultry Sailor. See the difference? Since I'm in love with this color and my swatch above didn't fully capture the amazing shimmer, check out this close up. Gorgeous! I have a few Ink swatches by request to show you today. First up, Ink American. American is a classic pink cream. As usual, this is 3 thin coats. I also swatched Ink Diamond Snow this week. Diamond Snow is a gorgeous golden shimmer topper. It forced me to abandon my light box and move outdoors to capture the full effect. First up, 3 coats of Diamond Snow on it's own. And one coat of Diamond Snow over American*. This is one of my favorite toppers. The shimmer is just unstoppable. *American is slightly washed out in the picture above. Please refer to the first picture in this post for a true representation of American. 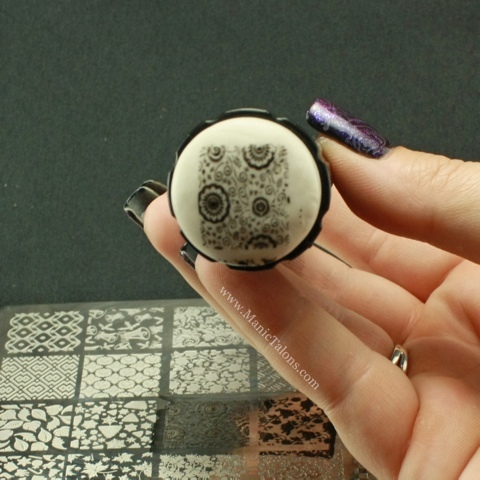 Finally, this week's Adventures in Stamping challenge is "Inspired by Your Favorite Song." This was an easy choice for me. 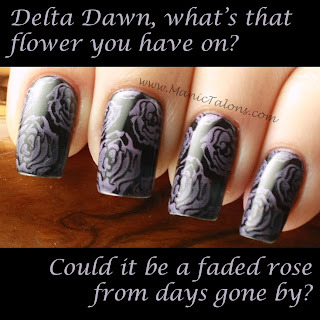 One of my all time favorite songs is Delta Dawn. I have fond memories of riding around in Daddy's old Chevy as a child and singing along when Delta Dawn came on the radio. I was going for a old, faded rose look, so I started with a base of Couture Little Black dress and stamped with Sally Hansen Instadri in Lively Lilac and the rose image from Bundle Monster plate 323. Here's the swatch of Couture Little Black Dress. This is my all time favorite black. 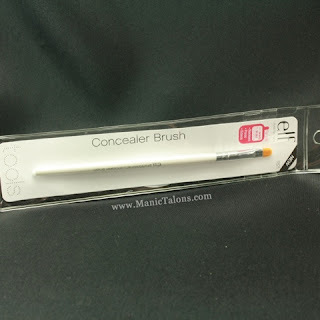 It applies like a breeze and is completely opaque in three thin coats. I tend to apply my coats thinner than the average person, which is why I always swatch three. 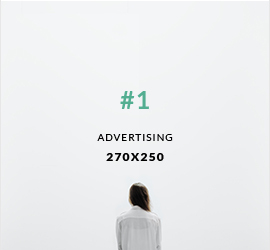 For most people, it would be opaque in two. It seems that most people encounter one of two issues with Soak Off Gel. Either it doesn’t bond to the nail and they experience premature chipping and/or lifting, or it bonds so well that removal becomes a nightmare. Thankfully, there are tricks to combat both of these issues! I’ll tackle soak off issues in another blog post. Today, let’s focus on preventing lifting and chipping. What causes lifting and chipping? If you have not completely removed the cuticle from the nail, you are more likely to experience lifting. If you have oily to normal nail beds, you are more likely to experience lifting. If there are flaws in your application process, you are more likely to experience lifting. If you are using the wrong base gel for your nail type, you are more likely to experience lifting. There are a lot of factors that can lead to lifting and chipping. If you haven’t been doing cuticle work, the cuticle can extend down the nail plate, and it often blends into the nail so that you can’t really tell it is there. When you apply gel polish over the cuticle, it can’t bond and results in lifting. There is a common misconception about where the cuticle is located on the nail. The cuticle is NOT the skin around the base of the nail. That is the eponychium. The cuticle is dead skin tissue that grows down onto the nail. Rather than try to recreate the wheel and go into the “how to” of cuticle removal, I’ll direct you to the pro. Check out this FingerNailFixer Cuticule Work Video. 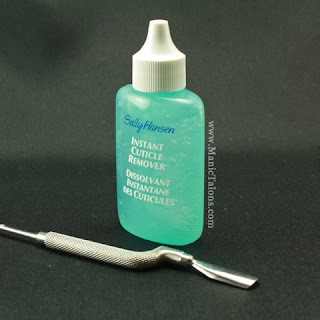 I prefer Sally Hansen Instant Cuticle Remover and a spoon style cuticle pusher. 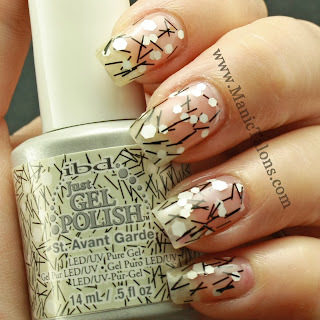 Natural oils on the nail will create bonding issues for any base gel. Most systems come with a bottle of prep, cleanser or dehydrator that is designed to remove oils from the nail. However, for those with oily skin and nails, these products alone simply don’t get the job done. It is crucial that you remove all oils from the nail before applying your base gel. My secret weapon? A grease fighting dish detergent. Not one of the formulas that has moisturizers built in. Simply one of the original formulas that is made for dishes, not hands. I use the classic blue Dawn. This is a trick I stumbled upon by accident by doing a manicure shortly after washing dishes. It was the first time I got more than a week of wear! So now it has become a part of my manicure routine. 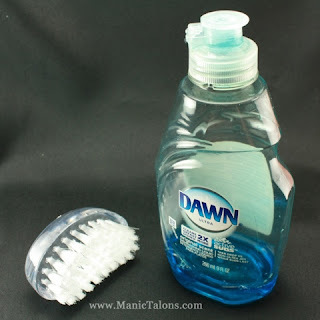 After completing my cuticle work and shaping my nails, I grab my Dawn dish detergent and a nail brush and give my nails a quick wash and scrub to remove any residual oil. Which reminds me, I need to pick up another bottle of Dawn. You can also use an oil fighting soap, but I have found most of those leave behind added moisturizers that can interfere with the gel’s bond to the nail. Be sure to keep it quick, though. You don’t want your nails to absorb too much moisture from the wash. I scrub and rinse both hands in less than 1 minute. Give your hands time to dry completely before proceeding with your manicure, being careful not to touch your skin and pick up additional oils. If you use this trick, be sure to moisturize well when you're finished with your manicure. 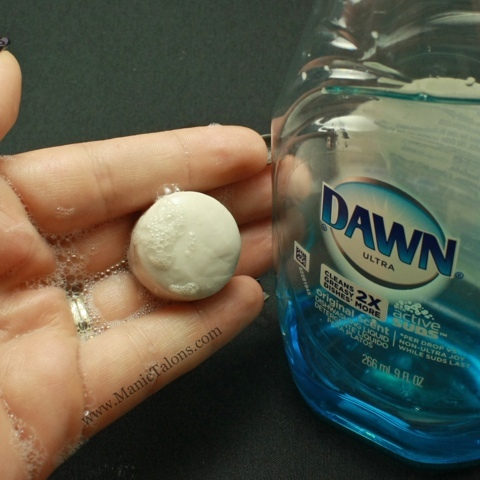 If you've ever washed a sink full of dishes by hand, you know that dish detergent can cause dry skin. There are two application mistakes that generally lead to lifting. 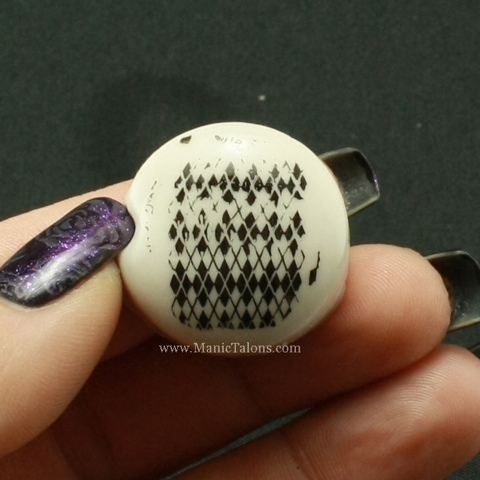 Polish on the skin around the nail and failure to properly cap the free edge of the nail. 1) Neat and tidy application isn’t just about the look of the final result. When gel polish overlaps the skin around the nail, it will cause lifting. Stop your polish just shy of the skin around the nail. And if you mess up, clean it up before you cure. I use a stiff concealer brush and 91% isopropyl alcohol to clean up any mistakes before curing. You can use any stiff, short bristled brush. You can also use the cleanser that came with your gel starter kit instead of isopropyl alcohol, but the isopropyl alcohol is cheaper and works great. Just be sure you get 91% or higher. 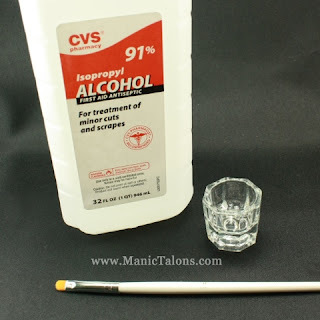 Dip your brush in the alcohol, blot any excess on a lint-free wipe or paper towel, and carefully run it along the edge of the nail near the skin. Be sure to frequently wipe and redip the brush as you clean to avoid spreading the polish around. Clean up every coat of gel before you cure. Base coat, color coats, and top coat. 2) You must cap the free edge of the nail with every coat of gel you apply, from your base coat to your color coats and finally your top coat. Think about how you use your hands on a daily basis. When you have an itch, you scratch with the free edge of your nail. When you turn a page in a book, the free edge of your nail may drag along the page. When you pull on your pants, the free edge rubs against the fabric. When you type, the free edge of your nails may hit the keys. If you stop the gel at the top of the free edge, all of the friction from day to day life will peel the gel back. So cap that free edge with every coat! When looking straight down on the tips of your nails, you should not be able to see natural nail. 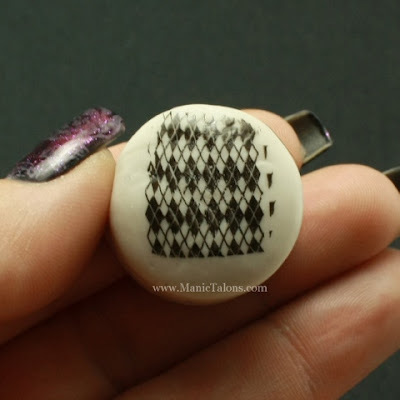 I'm using Ink Glacier on top of my current mani to demonstrate in the following pictures. By the way, there is NO way to take a flattering picture of the tips of your nails. Hello fat fingers! I’ve had a few people ask how to cap the free edge without getting polish all over the skin under the nail. When you hear people say to “cap the free edge”, what they really mean is apply gel to the very edge of the tip of the nail so that it overflows very slightly onto the underside of the nail. If you look at the underside of my nails, you will see approximately 1 mm of polish overflow along the tip. 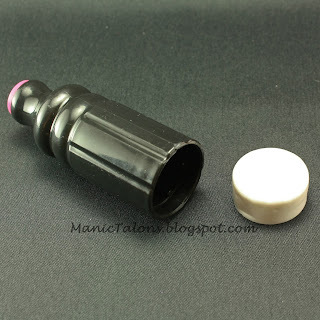 Wipe the brush against the inside of the bottle neck to remove excess polish. Your brush should not have a drop of polish at the end like you will when you polish the surface of the nail. The bristles will hold enough to effectively cap the tip when the polish has been wiped from both sides of the brush. If you have just finished applying color to a previous nail, you can use what is left on the brush to cap the next nail before you reload the brush to polish the nail surface. 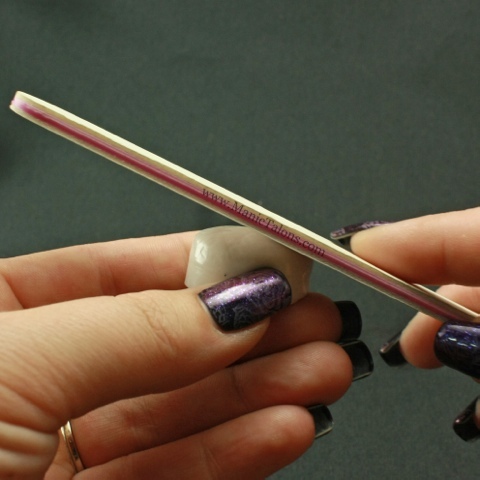 Holding the brush perpendicular to the tip of the nail, place the side of the brush on the outside corner (for square nails) or outside edge (for round nails). Use the side of the brush and run it along the tip from the edge to the center. Repeat from the opposite corner/side of the nail. If you have shorter nails, use your thumb (or finger if you're polishing your thumb) to gently pull back the skin on the tip of the finger. Polish the top of the nail as usual. If you had too much polish on the brush when you capped the nail, it may have pooled on the underside or touched the skin. Use your clean up brush to take care of that before you cure the layer. If you have tried the above tips and are still seeing lifting or chipping, you may be using a base gel that is not formulated for your nail type. Of the seven that I have tried, I found that some work better for oily nails and some work better for dry nails. For example, Gelish Foundation and Red Carpet Manicure Structure Base Gel tend to work very well with oily nails but will bond so well with dry nails that removal becomes extremely difficult. Ink Base and Couture Base tend be more likely to lift on oily nails but work very well with normal to dry nails. I personally use Kiss Base Gel. It is the perfect balance of staying power and easy removal for my nail type. So if you are still experiencing lifting after correcting the issues I mentioned above, one option is to try a different base. Another option is to use a bonder. Bonder is a thin liquid that is applied to the very tip and free edge of the nail before applying your base gel. 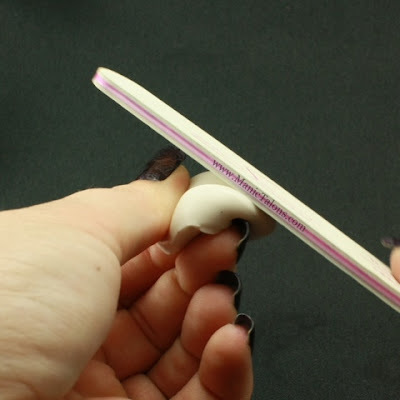 It leaves behind a sticky layer that allows the gel to really grab the nail. There are several bonders for soak off gel polish on the market, but this becomes very tricky territory. For example, Gelish PH Bond is not a bonder. It is a dehydrator and pH balancer. OPI BondAid is also a dehydrator and pH balancer. Sensationail kits come with “Gel Primer”. This is a bonder. FingerPaints Gel Polish Chip-Free Bonder is also bonder. Then there are also products labeled as bonders that are intended for use with hard gel or acrylics. Those will make soak off difficult. See, confusing. So be careful ordering a bonder online. I have personally used both the Sensationail Gel Primer (available as part of the essentials kit at several drugs stores and large retail stores) and Fingerpaints Chip-Free Bonder (available at Sally Beauty Supply) with great results.